K so I've been wanting to build this for a while but haven' started yet because i was told "Oh wait for the gensokyo 3.0 map it'll be done soon." yeah still hasn't' happened. anyway screw waiting i have green hair. So i'm starting construction. The human village is a personal favorite of mine as ti's what got me involved in the community in the first place oh so long ago. I'm hoping this time around it might get a few more people involved so without further ado, i'll be at 5653 4 -992 In the creative flats world working on it if anyone wants to join me. Oh and don't' worry you won't have to talk/fly all the way out there if you want to help. just go to /warp creative or jump in the creative world gap and use the command block to take you there. Bumping this thread up since issues with the human village seems to be worthy of its own thread with what I'm about to go through. From what I've seen so far, there doesn't seem to be much of a floor plan in regards to the village's layout. Last survival iteration we had a pretty good one in that we found fan arts and maps to base off of. Right now, we have rough ideas, but I'm a little concerned that it may not be executed well if a proper layout isn't settled on. From what I recall, and my memory is hazy so if people know what I might be refering to, feel free to correct me, the human village does have a small river or canal going through it with man-made banks. This means that the river we have planned going through the village will have to be changed since we can't really do proper man-made banks unless the river is flowing rather straight. What's the difference between fan arts and coming up with something yourself? Neither are canon and they're both are works of fans, a different interpretation from one person to the next tbh. If there is a fanart layout of the Human village you'd recommend we base this off of then please show me, this is still in the planning phase so a lot can be changed now. Other than that we just have various pictures of just buildings in the human village. I would recommend checking out Forbidden Scrollery there's a lot of the human village in that one. If the canal you're referring to is the Canal of Willows then I haven't found anything as of yet stating it's in the village. Only that it's outside the village. Keep in mind not everything can replicate what we see in the mangas in-game. So we'll have to try to get as close to it as possible. Last edited by KokoButtz; 03-13-2017, 11:32 AM. From what I remember, we had made a somewhat general floor plan, such as the residential district, market areas etc. I think that we should do the specific planning of the what building goes where after we make a solid wall/boundary. Yea that's the current thing I'm trying to work out. Figuring out how to make the walls for the village. I can easily build the one in the picture above (a complete rectangle/square from what I can see) but it's hard making it not look...awkward in game. I just noticed. There's a canal right down the center in that picture. 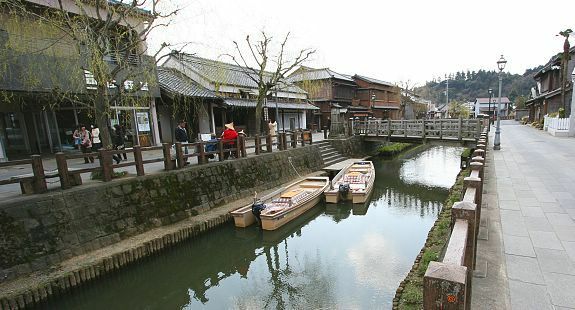 And with how villages grow around rivers and canals, that means the village doesn't go too far in the other direction. That should give us pretty good estimate on how large it should be. the layout also seems to indicate that the main roads all have shop fronts, and access paths around the shops goes to the residential inside those blocks. Last edited by Krittercon; 03-13-2017, 04:46 AM. I honestly did not see that until you pointed it out. lol It looked like a normal path. New question, how will we fit that into the human village. We can either Terrain form the river so that it goes straight through the middle (the green dotted points) like this. We'll have a canal but we'll have to get rid of the current river. If we do that then we can add more farms to the left side of the village. Or we keep the river but do these cute smol canal stream like things. As seen in this reddit post. Also do you have any idea on the walls of the village. I don't want it to be a straight box, and I don't want it to be similar to the walls in the current human village. The blue dotted points are where the wall will be. Last edited by KokoButtz; 03-13-2017, 11:29 AM. I think the diversion canal like what you showed in the image works. Under such circumstances, two of the village's walls will be limited by the river. So we can have the canal go through the village, and the walls on the rivers side follow the river. Also note, not all buildings would be inside the wall; it's perfectly normal to have some buildings scattered outside the walls as well. Rectangular layouts are not bad. Ask Karu for some reference shots of Shironia from PSO2. It's a good reference, just too urbanized for our case, but the layout still stands. Pretty much. Also farms on all directs around the town would make sense rather than just one side, unless the walls are connected to a forest that is. Gotta keep the village fed somehow. I made a water mill a while ago for the village that we could squeeze in if anyone wants to use it. No shitposting/building in this area. Really, it just means more mess to clean up. Right now let's focus on get all the buildings up then decorating the village. We are sticking to a general color scheme. The already built buildings what it consists of. It consists of Bone blocks, Oak wood, Spruce logs and wood, Dark oak logs and wood, and Stone bricks and cobblestone. Remember this is just the general color scheme, adding in different blocks aren't forbidden. We would just prefer that the main blocks you use in your buildings consist of the blocks said above. There are plots for you to build on. The walls should be on the plotted wool. The roofs of your building can go out 1 or 2 blocks but please keep your neighboring builds in mind. Some plots have a sign specifying what the building should be. For an example there is a Bunbunmaru Newspaper shop, the butcher/meat shop, the bakery, and a hospital/clinic to name a few. You will also see there is a door on the plots these only show where the entrance of your building should be facing. There is also andesite foundation for the build it's is only a placeholder you are free to change it. You will see that some plots are already claimed with a sign. Feel free to claim a plot with a sign with your minecraft username. Just don't get greedy and claim like all of them, please and thank you. The North side of the village is where the shops and businesses go. Whether the shopkeeper lives in their shop is up to you and how much space you have to work with on your plot you have claimed. The South side of the village is more residential area. The red wool plots shows a commoner household, they wouldn't have 2 floors (they could maybe have a basement if you want) these houses would have like 1 or 2 rooms depending on how big your plot is. The pink wool plots shows a wealthier household, they are bigger in size than the commoner plots. They are made to have a 2nd floor. There will be buildings outside the walls, but they would be around the same size of the commoner houses. One of the things that will be outside the wall is: the wood cutter shop, barn, and horse stables. Near by the Human village location is the tutorial area (-6299 4 -6470) if you need help with building things. Others can try their hand at explaining how they build if they want. Last edited by KokoButtz; 03-28-2017, 10:27 AM. A warp to the Human Village has been added changed. Thank you to Tenshi Katrix for providing it. Last edited by KokoButtz; 04-17-2017, 11:04 PM.